When I first picked up this play, I wasn’t sure what to expect. I thought perhaps it would be just as convoluted as every other metatheatrical piece I’ve ever experienced—but instead what I found was a wonderfully self-aware, hilarious, and poignant story that I couldn’t put down. With a fragile mother-daughter relationship driving the show, there are bound to be mishaps, and the result is an entirely exposed discussion of family, empathy, and what it truly means to be well. The acclaimed writer and performer Lisa Kron's newest work is all about her mom. It explores the dynamics of health, family and community with the story of her mother's extraordinary ability to heal a changing neighborhood, despite her inability to heal herself. In this solo show with other people in it, Kron asks the provocative question: Are we responsible for our own illness? But the answers she gets are much more complicated than she bargained for when the play spins dangerously out of control into riotously funny and unexpected territory. Lisa Kron has received numerous honors, including several OBIE Awards, the Cal Arts/Alpert Award, the Bessie Award and the GLAAD Media Award. Ms. Kron lives in New York City and Los Angeles. 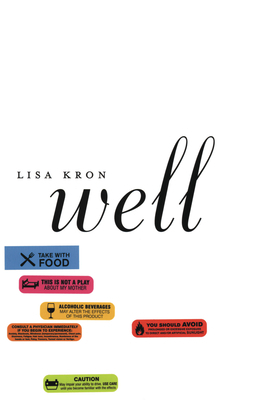 Lisa Kron grew up in Lansing, Michigan, and moved to New York in 1984. She has been writing and performing solo work for the past 20 years, and is a founding member of The Five Lesbian Brothers theatre company. She currently lives in New York and Los Angeles with her partner, Peg Healey.